Beren & Lúthien - The relationship of Beren and Lúthien is one of the most significant in the history of Middle Earth and far too complicated to cover comprehensively here. To learn the full story of the two, it's recommended you read chapter 19 of the The Silmarillion which is devoted entirely to them. What follows here is a short summary of their relationship. Beren was of the race of Men and Lúthien of the race of Elves (she was actually half-Maia as her mother, Melian, was a Maiar). She was the daughter of King Thingol of the realm of Doriath which Beren wandered into after the death of his father, Barahir. They fell in love and wanted to marry, but Thingol refused. 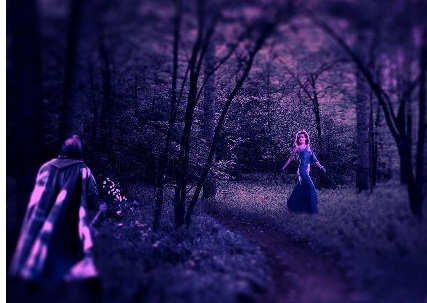 However, after looking upon Lúthien he did not want to incur the enmity of his daughter. 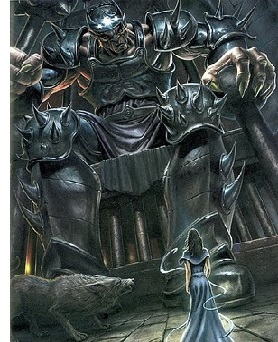 So instead he laid before Beren an impossible task...to retreive one of the Silmarils in the possession of Morgoth. Beren accepted the quest and turned to his Noldor friend, Finrod Felagund. But Finrod was torn because the house of his uncle, Fëanor, was sworn to recover the Silmarils and would not suffer them falling into the hands of anyone else. In the end, he chose to honor his vow to Beren's father, Barahir (see Death of Finrod above) and abdicated his throne in Nargothrond. They journeyed north but were captured by Sauron and taken to Tol Sirion, where Finrod was slain and Beren nearly lost his lfe as well, before being saved by Lúthien and Huan, the Hound of Valinor. 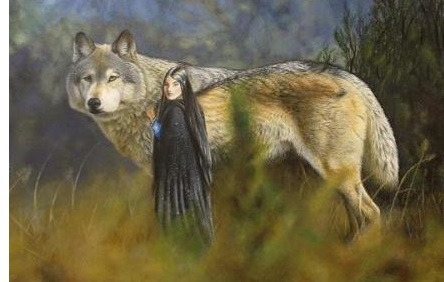 Having the wolfhound Huan proved the difference between life and death for Beren and Lúthien. Sauron, who had captured Beren tried to prevent their escape by releasing werewolves on them; but so great was the power of Huan that he slew them all, one by one. Finally, Sauron sent the werewolf lord, Draugluin into the fray. This was a dire statement from Draugluin because it had been prophesized that Huan could defeat all but the greatest of wolves. After their escape, Beren and Lúthien tied their fortune to one another and traveled to Angband together, along with Huan as their campanion. But behind the walls, Morgoth knew well of the strength of the hound of Valinor. But Lúthien was possessed of a power that none, not even Morgoth (as we shall see), could withstand. She used it to hinder Sauron, and now she was about to use it again. 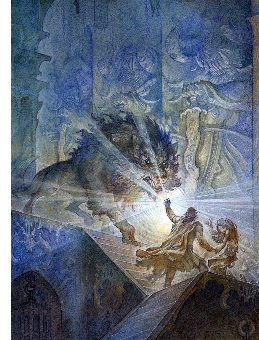 Thus began a battle of wills between the enchanting beauty of Lúthien and the rending evil of Morgoth. And in that moment, Beren stepped forward and gathered the prize. 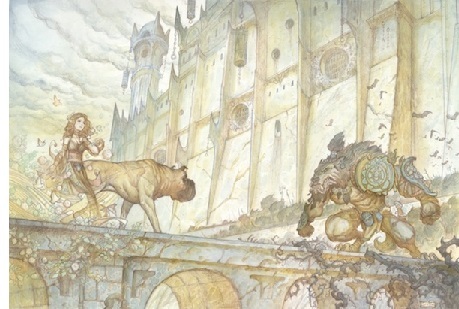 But even Beren could not overcome the tug of greed that pulls at Men. Morgoth was roused from his slumber and Beren and Lúthien fled with all dispatch. But by now Carcharoth was also awake, and blocked their path. When they returned to Thingol, and Beren revealed his missing hand, the Sindarin king was moved by emotion at the bravery of the Man, and his attitude was changed. From that point, Beren and Lúthien were together with Thingol's blessing. Of course their relationship doomed Lúthien to a mortal life. But to them was born Dior, the first Half-Elf of Middle Earth. And from his daughter, Elwing, would come the Númenoreans (see Elros).